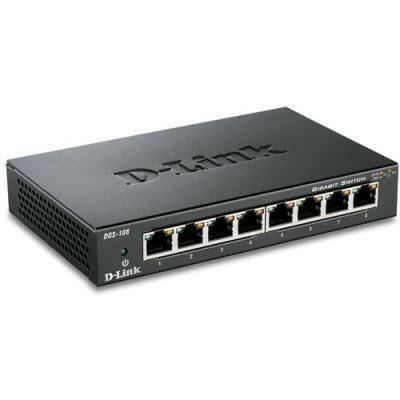 The DGS-108 8 Port Gigabit Unmanaged Metal Desktop Switch provides a quick, easy and economical way to add high speed networking to home offices and small/medium businesses. 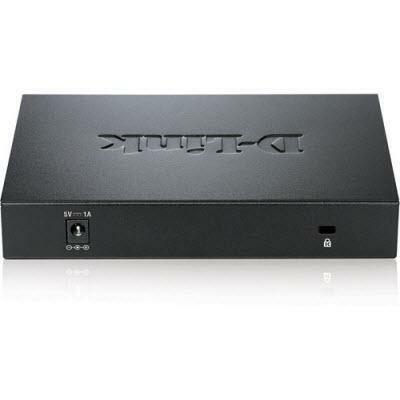 With data transfer speeds of up to 2000 Mbps the DGS-108 is ideal for fast file transfers, and smooth media streaming. 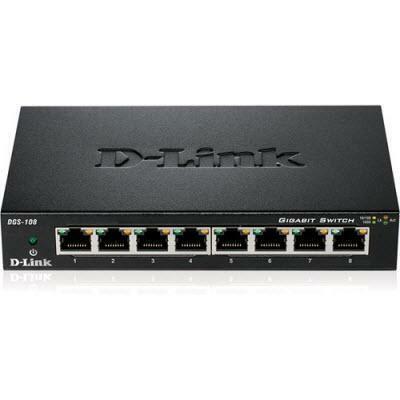 It provides eight Gigabit ports for easy expansion of your network and a quick way to upgrade your network to Gigabit connectivity.